the 0.11.0 with first version of the Multiplayer has been released. The multiplayer experience is expected to be really buggy (as we learned today during a test with 4 players), but it is a first step. Oddly enough, our efforts haven't escaped the attention of a local newspaper which made an article about us - see the picture below. In the last post we half-jokingly mentioned that there will be significant refactorings done the day before and hotfixing just before the release. 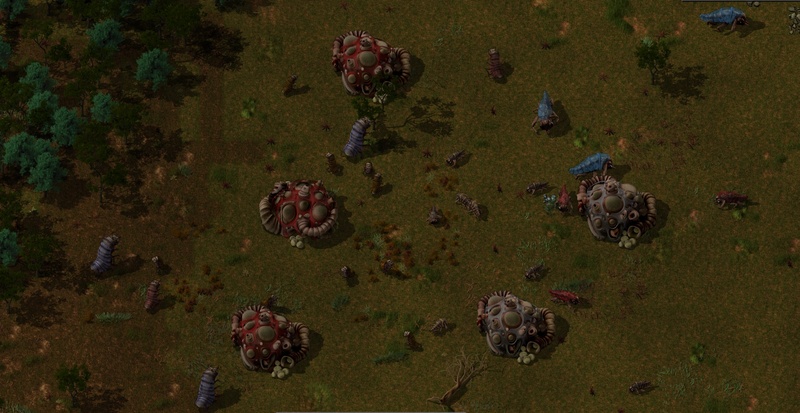 Well I thought I was joking ... At 2 a.m. today, we have met with kovarex over a late night snack and a big patch that he made in the very core of the engine. The patch is there to fix one of the reported bugs with the railroads. For those who have been around since version 0.2.x - we have tested that the pumps can be build (this issue is related to the patch more than most people would think). Latest news: As for the hotfixing just before the release. That didn't happen. But after the release we found out that there is a silly error where we (well, ehm, me :)) accidentaly left in a testing piece of code that desynced the game regularly in 20 seconds intervals. Well that made the multiplayer not that enjoyable, obviously. Also there were some annoying locale bugs. So we opted for an after-release hotfix and released the 0.11.1 which fixes these issues. Ok, the last week has been crazy. We have really pushed ourselves and put our personal lives aside to finish the release as best as we could. This has reminded us quite a bit of "old times" from our Indiegogo campaign last year. Somehow this is the end of that era. The era of a "garage company". In the past year the development has become more and more relaxed and we slowly approach what could be called a regular work-life balance. Let's see how this works for us now when we will move to the new office. As you could have read in the newspaper above there has been quite a bit of graphical work done in the enemy race as well. We have started using masks heavily. The spitters, biters and spawners all use masks now. The worms are soon to follow. Check out how it looks in the game below (picture was taken on a sunny day in the middle of an enemy base). Allright, if there is anything on your mind just let us know at the regular place.